Boil carom seed with one cup of water. Allow it to get cool down. Now add little by little carom seed water and make a soft dough out of it. Roll the ball, with the help of rolling pin, dusting some plain wheat flour on it and make roti out of each ball. Heat tava and place one roti on it. Remove from flame and brush with ghee on the one side. Make all roties in the similar way. 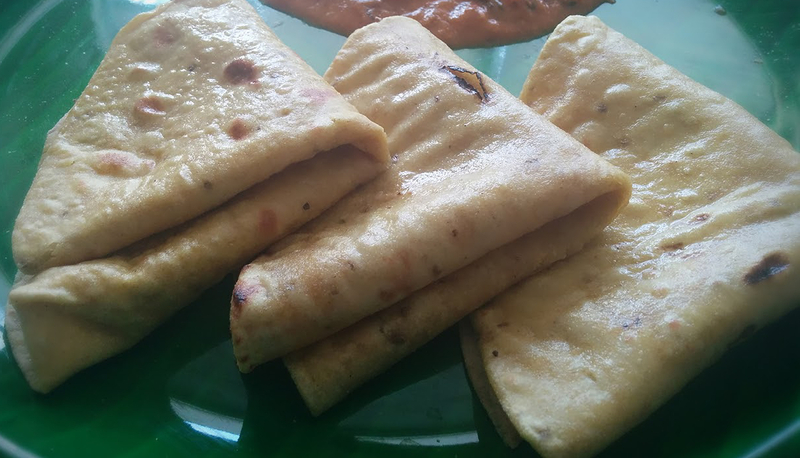 A nice twist to the regular rotis...The rotis look so soft! Carom seeds go well in rotis and parathas.. love the flavour.